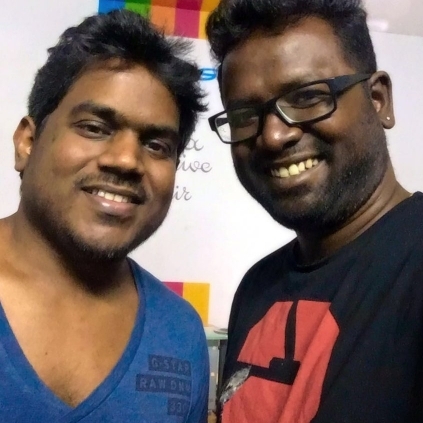 The voice of lyricist and singer Arunraja Kamaraj of Neruppu Da fame will soon be heard in the Yuvan Shankar Raja musical Balloon. This film is directed by Sinish and features Jai and Anjali in the lead roles. On singing for Yuvan, Arun says, “I am a huge fan of Yuvan sir and it is a pleasure for me to work with him. I sincerely thank Yuvan sir for picking me up”. People looking for online information on Arunraja Kamaraj, Balloon, Yuvan Shankar Raja will find this news story useful.